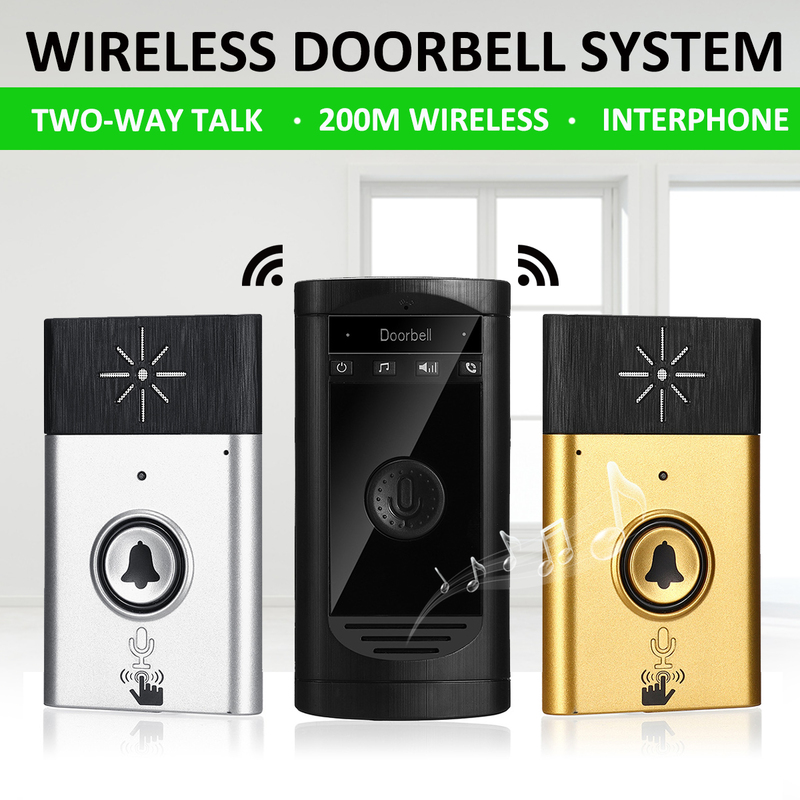 -Voice wireless intercom doorbell= doorbell+ interphone. -Small size, save the space. 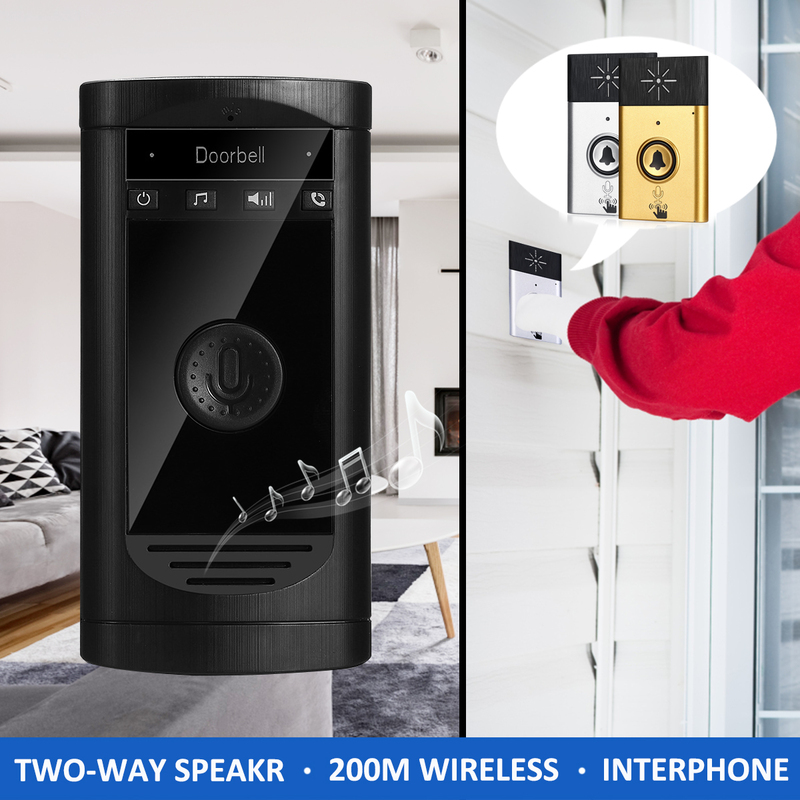 -Long wireless distance, up to 200m. -Indoor bell rings only, when outdoor bell pressed. -LED indicator, show the status of battery. -Strong and adjustable music, clear voice. -One outdoor bell can pair with many indoor bells and they have no inerference.